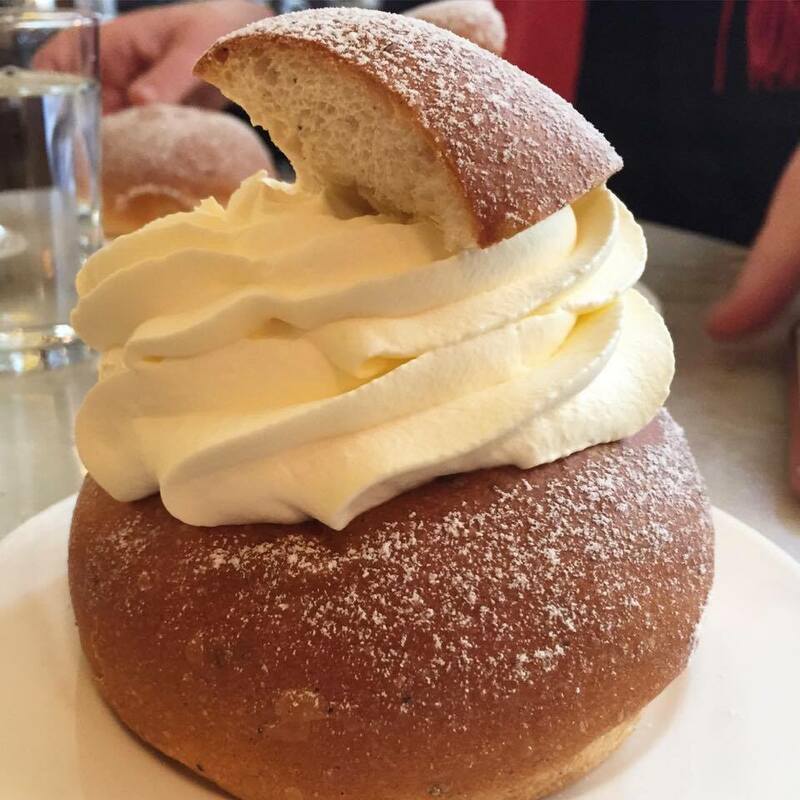 According to Wikipedia the semla was originally eaten only on Shrove Tuesday as the last festive food before Lent. However, with the arrival of the Protestant Reformation, the Swedes stopped observing a strict fasting for Lent. 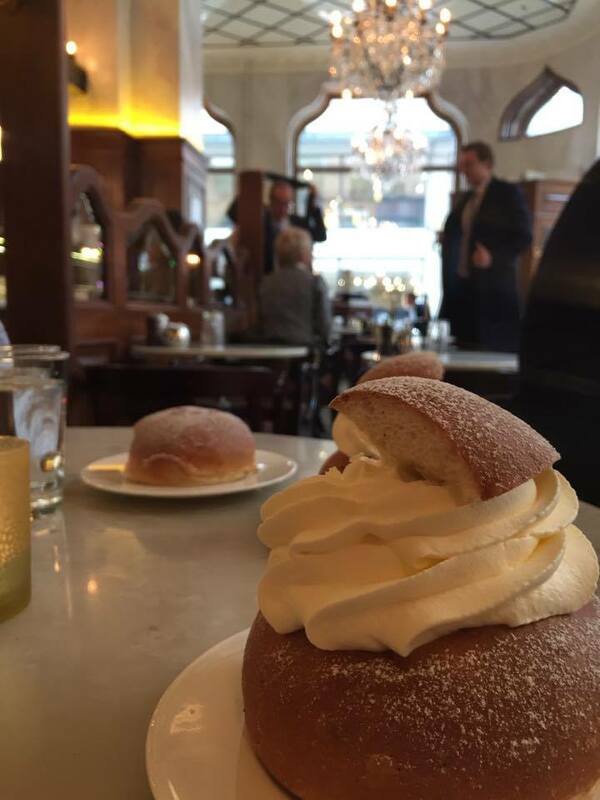 The semla in its bowl of warm milk became a traditional dessert every Tuesday between Shrove Tuesday and Easter. 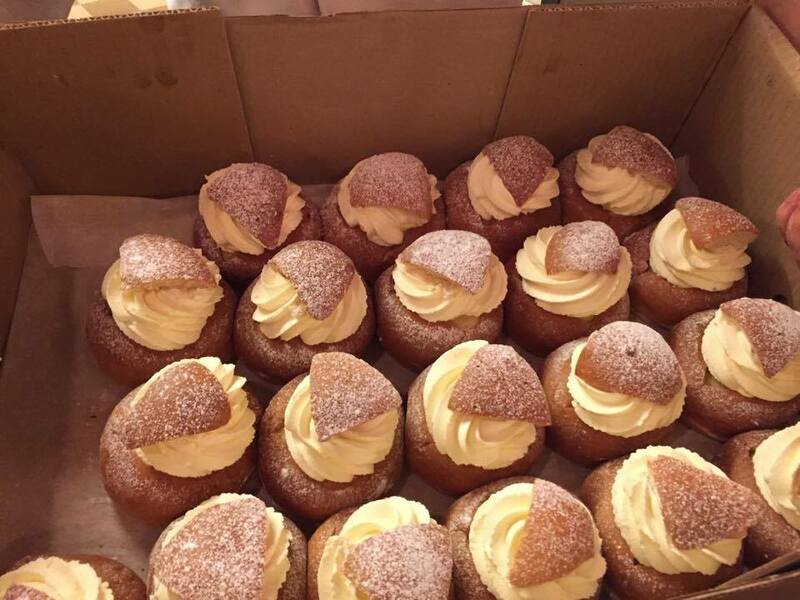 Today, semlor are available in shops and bakeries every day from shortly after Christmas until Easter. 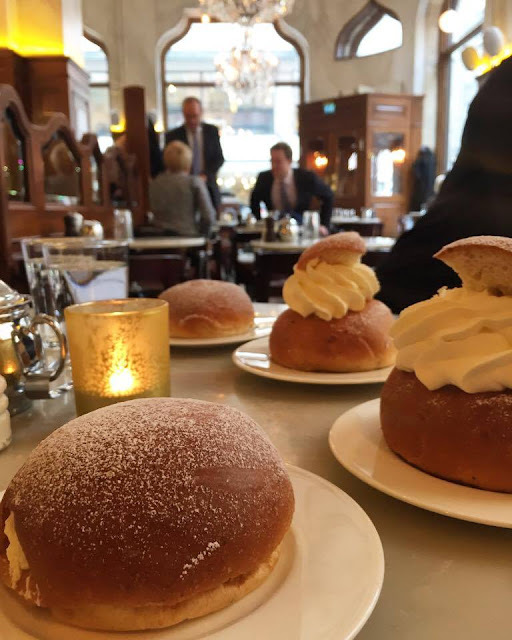 Each Swede consumes on average four to five bakery-produced semlor each year, in addition to any that are homemade. King Adolf Frederick of Sweden died of digestion problems on February 12, 1771 after consuming a meal consisting of lobster, caviar, sauerkraut, smoked herring and champagne, which was topped off by fourteen helpings of hetvägg (semla), the king's favorite dessert. This was the sweet chosen to represent Finland in the Café Europe initiative of the Austrian presidency of the European Union, on Europe Day 2006. 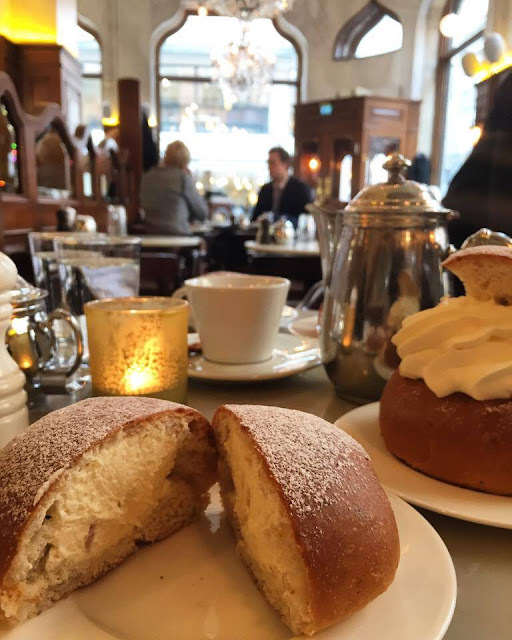 One of Stockholm’s finest coffee houses calls Wienercafeet designed in a traditional and beautiful Austrian baroque style gives you an ambiance of profoundment. 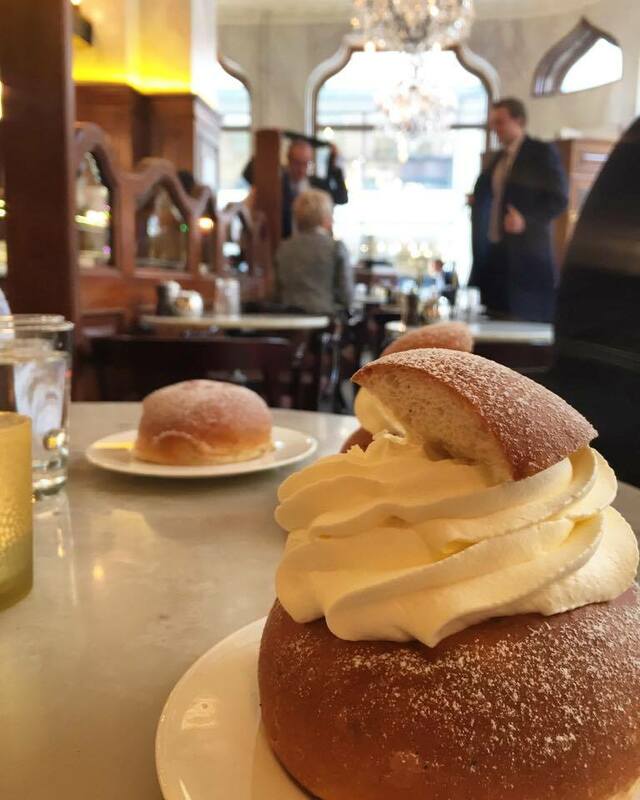 We love the feeling of sitting in this coffee house and be served with fantastic bakeries and light food. The bakery is designed with an open glass function and you can see the whole operation in the back. 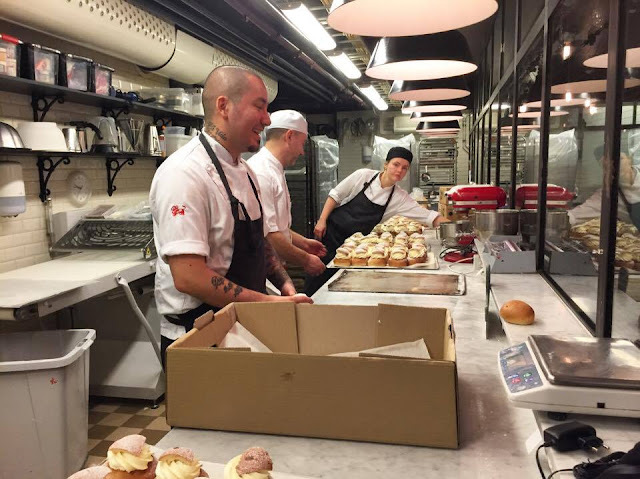 One of Sweden’s most famous and awarded chef’s calls Peter Nordin and Per Bäckström designed a new twist to the traditional dessert Semla and calls it Hemla. We had the honor to try out both. We could only conclude that both were absolutely fantastic. 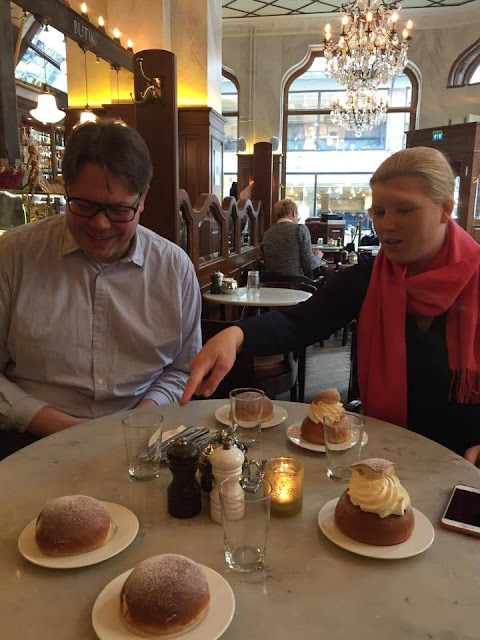 Some enjoyed the Hemla more and some preferred the traditional dessert Semla instead. Although the conclusion was that the highest point of this amazing pastry was the almond icing. 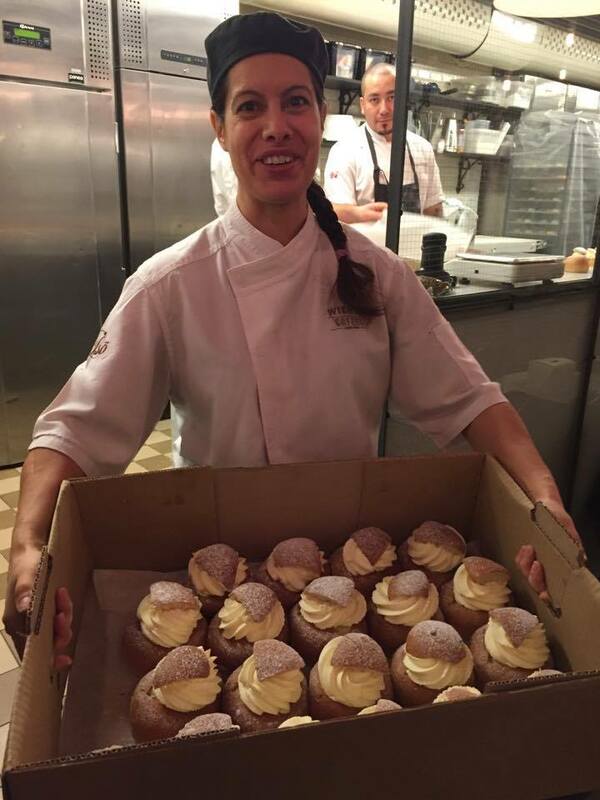 It provided absolute and fantastic flavors to both of the pastries and stood out from all others that we have tried.